As a struggling Resurfacing Franchisee in 2004, the industry standard dry times were very slow at 12 to 24-hours without heaters, and had a sole focus on bathtubs. Absolute Resurfacing changed all that. We set out to dispel the sales jargon and misleading information associated with our growing industry. Resurfacing needed the creation of an industry group worthy of being called professionals. There was no manufacturer authorised training with quality materials. Partnered with NAPCO, Absolute Resurfacing has redefined the Resurfacing industry in Australia. Through innovation of process and products, we have expanded the scope of “normal” to include not just bathrooms, but all types of kitchen surfaces as well. We have developed a benchtop resurfacing system that rivals stone in appearance which is far more cost effective. Other product innovations include developing a process to include Resurfacing of laminex and timber in kitchens. NAPCO is consistently working to improve and innovate with new products being released on a regular basis. 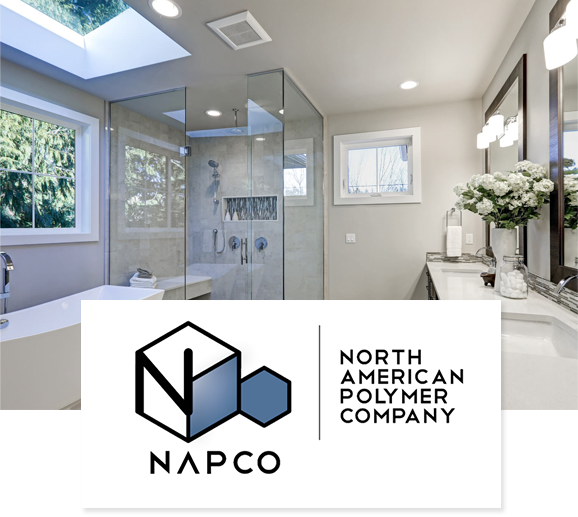 NAPCO’s current range of products include the 320 Poly-Gloss Low VOC Coatings that exceed the strict Californian clean air regulations. The 320 Poly-Glass range is our most popular product line in Australia, and is used on thousands of surfaces each year. Its super-fast 2-hour dry time is well beyond the 8-hour standard for our industry. Unlike pretenders who fashion their businesses around 2-pac, car and marine paint, the NAPCO products are recommended for residential use and still out-perform in the final finish.